I was in the lovely city of Toronto yesterday and as usual was impressed with the sheer number of people I saw on bikes. 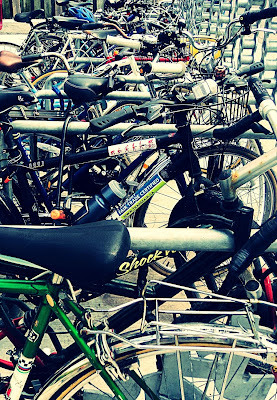 There are ample bicycle parking spots, and most had a large number of bikes locked to them. There are also a large number of Bixi bicycle share hubs conveniently located throughout the city, encouraging even more people to get on bikes. Nice. The above photo is at the entrance to Kensington Market. Awesome Joe! Did you end up walking around the city? 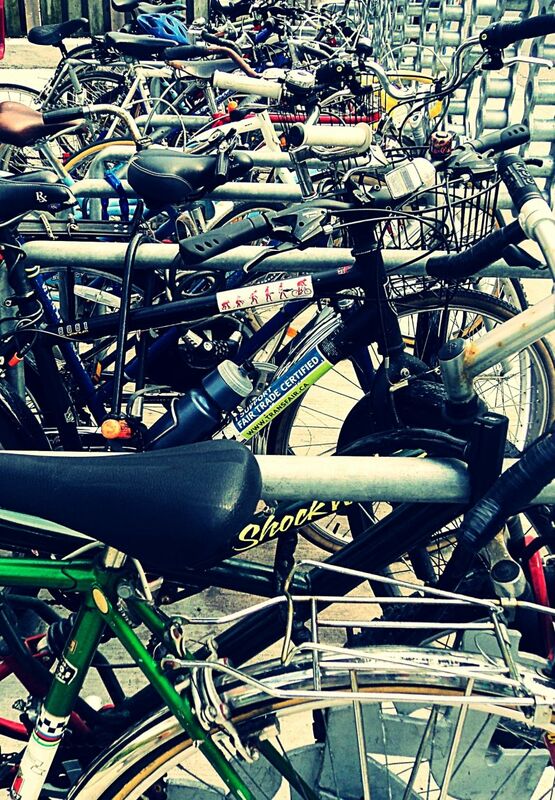 Or did you rent a bike or grab a Bixi bike for the day? James, I was there with my son who enjoys walking but doesn't share my love (obsession?) for bikes. I enjoy getting up to TO once or twice a year for a quick get-away. My son is into music on vinyl these days so we went to some record stores and that's why we went to the Kensington Market. I, in turn, dragged him to used books stores and both the Urbane Cyclist and Curbside Cycle. I think I may eventually get a Batavus Personal Delivery Bike and Curbside is the closest to my home that stocks them.